As we enter into the new year, it is time for all the "experts" to make their bold predictions about the future (including all the college football bowl and NFL playoffs prognosticators). The soothsayers and futurists will peer into their crystal balls, analyze all their data, look for signs from above, rub their lucky rabbits’ feet, and use whatever other sources necessary that give them the ability (and audacity) to predict the future. I had the pleasure of hearing renowned futurist Faith Popcorn speak at a C-Suite conference held in March in Boston. Her vision of the future is both exciting and frightening. Her forecast on the rapid increase next year in robotics and automation will have many positive results but also will cost a lot of people their jobs if she is correct. You can see more of what she predicts for the coming year here. I thought it would be fun before I read this year's predictions in Parade Magazine, The National Inquirer, and The Onion, to go back and look at some of the biggest blunders of all time. So I researched topics involving the greatest upsets and worst predictions in world history, business, politics, sports, and life in general. This proved to be eye-opening to say the least. On a serious note, there are many reputable publications that have already put out their 2017 predictions including Forbes, Fortune, USA Today, U.S. News & World Report, The Telegraph, and Time to name a few. They include forecasts for technology, the stock market, consumer spending, healthcare, and innovations to make life easier. If you really want to have some fun, go back and read the predictions made in some of these publications for 2016 to see just how the various prognosticators fared. So this is my very unscientific (and somewhat tongue-in-cheek) attempt to point out where some of the "experts" went wrong on a few big ones and a few closer to home. Let’s start with an easy one for today’s tech savvy readers. Steve Ballmer, former CEO of Microsoft once predicted in 2007, "There's no chance that the iPhone is going to get any significant market share. No chance." According to Fortune magazine, by fall of 2016 over 1 billion iPhones have been sold and percent of market share is consistently in the high 40s. Let’s go back to the 19th century for our next few. "The horse is here to stay… the automobile is only a novelty -- a fad." - The President of the Michigan Savings Bank in 1903. That was the advice he gave to a potential investor in Henry Ford’s fledgling auto company. Yeah, how did that work out? Of course, the boat had already sunk on its maiden voyage earlier that morning, around 2:20 a.m. 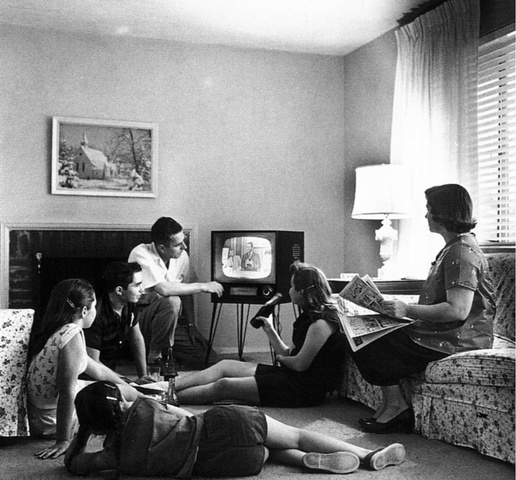 Here is another gem, dealing with the invention of the TV: “Television won’t last because people will soon get tired of staring at a plywood box every night." That doozy came in 1946 from Darryl Zanuck, a famous movie producer with 20th Century Fox. Then there was the “Y2K” scare. This is what happens when people take an Orson Welles “War of the Worlds” approach to problem-solving. It may go down as one of the biggest wastes of time and money ever. A typical alarmist back at the end of the last millennium sounded much like Dr. Ed Yardeni, the Managing Director & Chief Economist at Deutsche Bank during his keynote address to the Bank for International Settlements: “Let's stop pretending that Y2K isn't a major threat to our way of life. There is too much at stake for such uninformed wishful thinking." Sports are so full of upsets there is not enough space to go through all the examples so let’s stick with my all-time favorite upset, the “Miracle on Ice” victory over the Soviet Union hockey team by a bunch of U.S. college kids in 1980. Well, on Feb. 22, 1980, legendary sportscaster Al Michaels famously asked and answered, “Do you believe in miracles? Yes!” USA 4, USSR 3. Michaels’ phrase has its own iconic place in the history of sport. This is just a tiny sampling of some of the predictions that were way off base. As my wife says, “measure twice, cut once.” In this age of fake news and first with the news (damn the facts), “Trust, but verify” is more important than ever. My very unscientific conclusion: Never underestimate the power of the human spirit, the importance of real leadership and their combined synergistic impact on outcomes. A new nightclub is coming to State College. Envy Nightclub announced on Saturday that it will open its doors in 2017, according to its Instagram. Self-described as Penn State’s soon-to-be “hottest nightclub,” Envy will takeover 420 East College Ave, where Levels Nightclub was previously located.